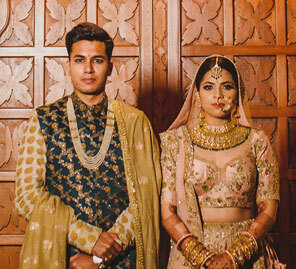 A surprise flash mob by the cool bride, a foam party, glitzy reception and a beach-facing wedding ceremony comprised Navneet and Varun's rocking nuptials in beautiful Goa . 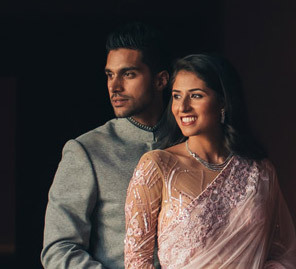 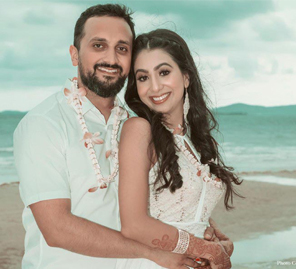 Four months is all it took for Navneet and Varun to make their decision of a lifetime after they first met, and a heartfelt proposal was followed by a gorgeous waterfront ceremony in sunny Goa. 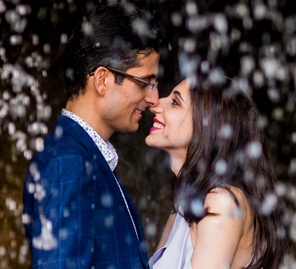 Here, the bride shares her lovely wedding photographs and the stories behind the memories captured by Jodi Clickers.